July was a busy, but fun month! 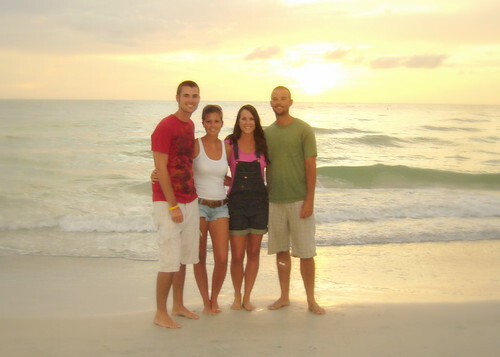 With two birthdays in the family, we decided to take a trip to Indian Rocks Beach for a week. Luckily were able to find a beach house that allowed dogs, and bring along the two trouble makers, Ramsey and Bo (my son’s dog). We had a great time with the kids, dogs and family friends coming to visit. What more could more could I ask for, a vacation with the family, great food at Crabby Bills, constant sunshine and warm waters! The only downside to the trip was that we found out there were no dog beaches near by. After the trip we were anxious to take Ramsey to a beach where he could test out the waters. Since we rescued him from Hound Haven earlier this year we have not had the chance to take him on the beach. My husband and I decided to take a quick day trip to Flagler Beach so Ramsey could play in the water. He loved it! 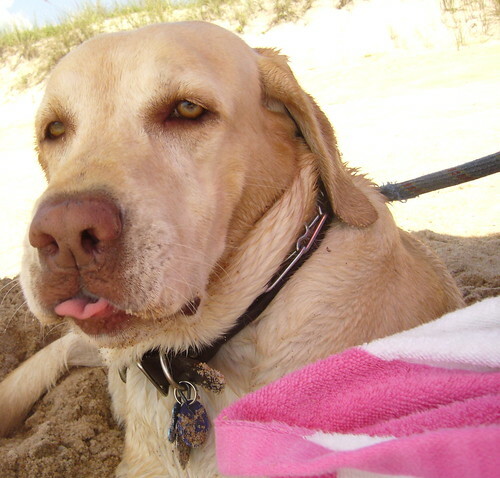 Although…judging from the picture above, I do not think he was too thrilled about the sand that got in his mouth! Anyway, we had a great trip and I just wanted to share a few pictures of my kids.